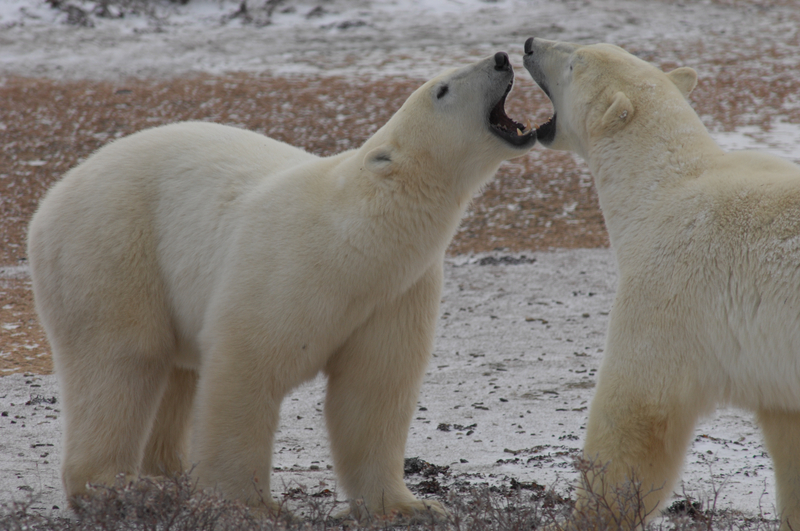 Polar Bear Science – Welcome to our lab website! Triplets are rare and getting rarer. 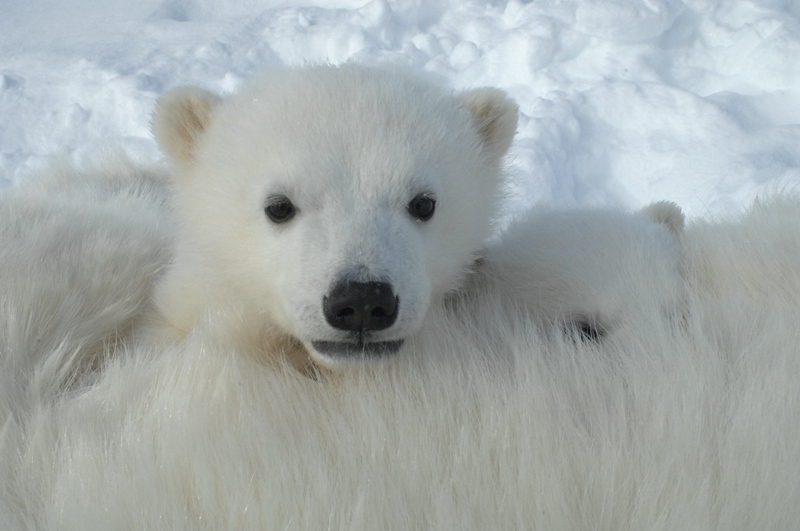 Usually female polar bears will have 1-2 cubs every three years. Polar bears roam the land in Wapusk National Park during the fall, waiting for the sea ice to freeze. When the ice freezes, it pushes against itself to form pressure ridges. These ridges can be very large with huge blocks of ice stacked on top of each other. 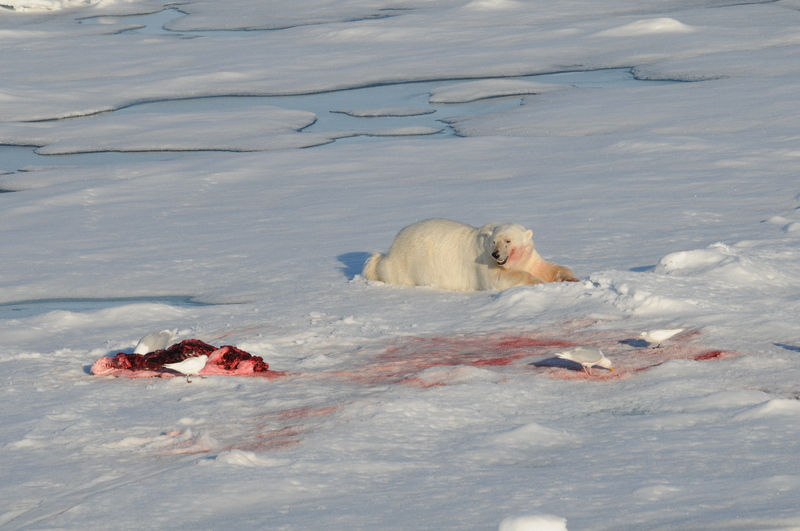 Polar bears often follow pressure ridges as seals make lairs underneath them. 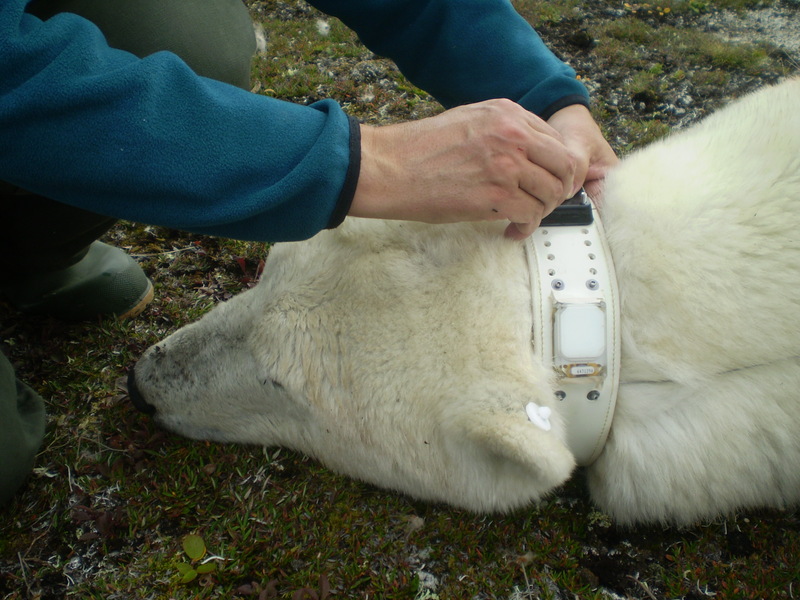 Satellite collars can tell us when and where polar bears are year-round, something that would be impossible otherwise. Can documenting the behaviour of a predator facilitate insight into the distribution of a cryptic prey? Yes! Each spring scientists try to evaluate how many new cubs are in the population and how healthy they are. This gives us great insight into how well the population is doing. If cub production and survival drops, the population may be in some trouble. We are a group of students at the University of Alberta in Edmonton, Alberta, Canada, studying under Dr. Andy Derocher. We are passionate about communicating good polar bear science and would love for you to visit our site to learn more about the world's largest terrestrial carnivore.